What Were We Thinking! and Baby Steps are two educational websites to help new parents develop essential skills as they adjust to the challenges of life with a baby. 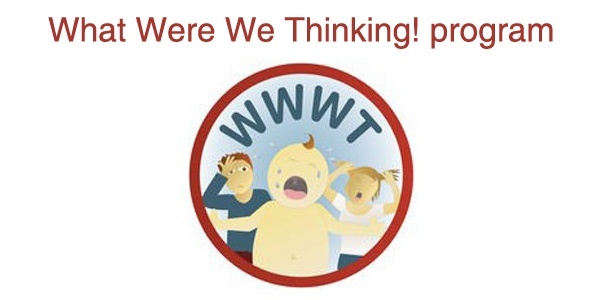 What Were We Thinking! offers new parents two useful tools, the evidence-based What Were We Thinking! program from which a professionally moderated parenting blog and a free mobile app, have been derived and adapted. This Australian program helps new mums and dads learn practical skills for settling babies and adjusting to changes in their relationship with each other. Baby Steps is a free online program that aims to enhance the wellbeing of new mums and dads. Baby Steps was written for people having their first baby, but can be used by anyone with a young baby who wants to learn more about caring for their baby or themselves. It also helps parents look after the wellbeing of themselves and their family, with topics on self-care, looking after each other as a couple, making the most of time with their baby, and adjusting to changing roles. There is a special section especially for fathers. Parents are encouraged to make plans to try out ideas, and take photos to remind them of good times with their baby.